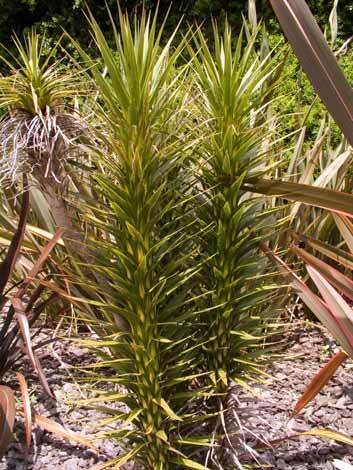 Cordyline ‘Karo Kiri’ is a dwarf, non-flowering cabbage tree. It was first discovered in 1983 by a Christchurch nurseryman who propagated the plant for sale. The tree has short, rigid leaves and seldom grows more than 1.5 metres high. It is a hardy plant and grows equally well in a large pot indoors or in the ground.